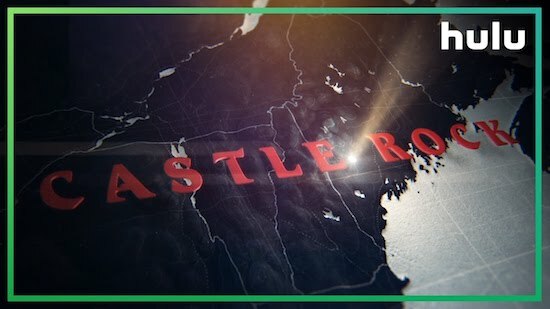 CASTLE ROCK—the new series set in the Stephen King multiverse—is paneling at ATX (at 1:30/12:30c), with creators Sam Shaw and Dustin Thomason sharing details about what’s to come in the new Hulu series. Follow along for updates! 12:30c: We’re seeing the first footage of CASTLE ROCK. In the Terry O’Quinn-centered clip, a bit of the history of the town is explained (including nods to CUJO and more). 12:43: Thomason credits executive producer J.J. Abrams and studio Warner Bros. for their help in assisting access to the larger King universe. 12:46: Shaw calls season 1 of CASTLE ROCK a “seasonal anthology.” When they did “unorthodox” things with his characters, the duo called up King for his OK. He was great about it. 12:48: The goal of the show was to “adapt Stephen King as a genre,” Shaw says. They looked for the common themes, and broke down what makes a Stephen King story distinct. There was a variety of awareness of King’s work on the writers’ staff—though they likely knew the most—though the goal is for the show to be accessible to even non-super fans. 12:51: “Casting the town of Castle Rock was almost the most crucial part of the process,” Shaw says. A lot of the series was shot on location, because the mood needed to be correct. They shot in Orange, Massachusetts. Shaw jokes it was an awkward conversation to ask to film there to stand-in for one of the most awful towns on Earth. 1:06: Terry O’Quinn filmed on the first day of shooting and the last day of filming. He hadn’t read all the scripts by the end, but a director asked what he wanted to know about what he hadn’t been a part of; O’Quinn declined to hear more. “You work long enough on a J.J. Abrams show, and you learn to work on a need-to-know basis,” O’Quinn said, Thomason recalls. 1:09: “The funny thing about Stephen King and his library is that for the most part, he’s not a plot twist writer,” Shaw says. Abrams’ work often has those moments, but Shaw says they tried to balance both what is expected from a Bad Robot show and stay true to King’s kind of work. Shaw points to THE SHINING as something that is clear about where it’s going, but it’s still horrifying. 1:14: Shaw says he appreciates that CASTLE ROCK won’t be released all at once. “I think it’s really helpful to have time to let the episodes breathe,” he points out. Though the decision was made for them, Shaw is thankful they went that way. O’Quinn has a scene that is essentially an eight-minute monologue, Shaw teases. 1:17: King’s reviews of LOST was part of how he and Abrams first connected, Thomason says. 1:20: “Is there a beating heart at the center of the story?” Thomason says of what makes a good King adaptation. You have to care about the characters and their relationships. 1:26: DARK TOWER is in many ways the center of the Stephen King universe, Thomason says, but it’s “also a silo.” They want to let the audience settle into Castle Rock before they expand outside in the King world. “Once you go out to the Dark Tower, you can’t go back again,” Shaw points out. 1:28: If there is a second season, Shaw says there are characters they’d love to see again. But it won’t be a traditional show that picks up where season 1 left off. “Being able to honor the diversity of stories [King] has told in this one town is our approach,” Shaw says.